SINGAPORE, 4 February 2016 – Changi Airport welcomes today the addition of West Air to its family of airlines, with the arrival of the airline’s inaugural international flight from Chongqing tonight. With the launch of this flight, the Chongqing-based airline will commence operation of a thrice-weekly service between Singapore and the Western Chinese city on an Airbus A320-200, with a capacity of 180 seats. 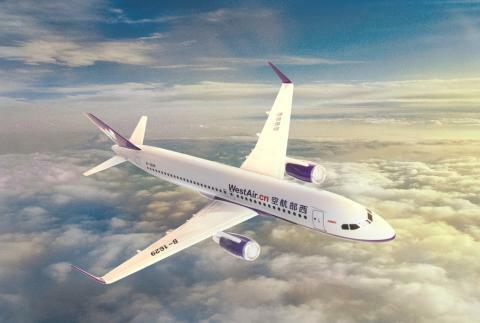 The arrival of West Air strengthens Singapore’s connectivity to Western China, opening up more opportunities for both trade and leisure travel between the two destinations. This new service, which represents the Chinese carrier’s first international service, comes on the back of a bilateral pledge to grow air connectivity between Singapore and Chongqing, inked recently through a memorandum. On 8 January 2016, Changi Airport Group (CAG), Chongqing Airport Group, SilkAir, Air China Limited Chongqing Branch, China West Air, and Chongqing Airlines entered into a six-party Memorandum of Strategic Cooperation to enhance air connectivity between Western China and Singapore. Under this memorandum, both airports will work closely with the airline partners to mount new flights and increase flight frequencies, not just between Singapore and Chongqing, but also to boost transfer traffic via both hubs. Both airports will support the airlines to develop connectivity from cities in Western China (such as Urumqi, Xining, Lhasa) via Chongqing to Singapore, cultivating the aviation market between Singapore and relevant cities under China’s One Belt, One Road plan. Chongqing, one of China’s four municipalities, has a wide range of activities for visitors to choose from - cruise along the famous Yangtze River, visit Porcelain Village (磁器口), soak in a hot spring, or savour the world-famous authentic Chongqing hot-pot. With 32 city links to China, Changi Airport is well-connected to the country. In 2015, China continued to be a key market for Changi Airport, with 4.9 million passenger movements for the sector. Contributing about 9% to Changi’s total passenger traffic, China is the airport’s fifth-largest passenger source market. With West Air’s entrance, there are 12 airlines at Changi Airport operating direct services to China, offering some 560 weekly flights between the two countries. 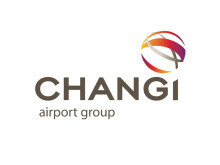 Changi Airport Group has been actively growing Changi’s connectivity to China’s emerging cities. Four new Chinese city links were added to the airport’s network in 2015 – Sanya, Changchun, Quanzhou and Yinchuan. For the year, China traffic grew a healthy 7% year-on-year, while compounded annual growth (CAGR) for the 2010-2015 period was a robust 8%. Changi Airport is the world's sixth busiest airport for international traffic. It served a record 55.4 million passengers from around the globe in 2015. More than 350 retail stores and 160 F&B outlets are situated across three terminals to cater to passengers and visitors. With over 100 airlines providing connectivity to 320 cities worldwide, Changi Airport handles about 6,800 flights every week, or about one every 90 seconds.